September 27, 2016 – Austin Braun is proof that you don’t have to be a rocket scientist to have a positive impact on CU Boulder’s aerospace program. Braun, a junior in the College of Media, Communication and Information (CMCI), recently earned the university a free ride to space for one of its future satellites when he won a naming contest hosted by United Launch Alliance (ULA), the Centennial, Colorado-based aerospace company. Cube satellites – or CubeSats – are short-lifespan, bread loaf-sized satellites designed for space research. In December 2015, CU Boulder engineers launched the MinXSS CubeSat to the International Space Station aboard a ULA rocket, where it was later deployed on a 12-month orbital mission to study the sun’s X-rays. When Braun learned via Twitter that ULA was holding a naming contest for its new CubeSat STEM education program, he figured there was no harm in applying. Months later, he received a letter from ULA CEO and President Tory Bruno informing him that his submission of “CubeCorp” was the winning entry, securing CU Boulder a valuable launch berth for a future CubeSat. It’s just the latest way in which Braun, who grew up in nearby Longmont, has managed to get involved with aerospace even though he’s long known that he wasn’t cut out to be an engineer. One of those means has been social media. In 2014, Braun came across NASA Social, a program that allows avid social media users to apply for an opportunity to watch a rocket launch in person at Kennedy Space Center in Cape Canaveral, Florida. His entry was selected, earning him credentials to go inside the NASA press room while the Orion spacecraft took off on its inaugural test flight, the first step in an eventual crewed mission to Mars. “I remember thinking that I loved what those people were doing and I knew I wanted to be a part of it,” says Braun, whose enthusiastic posts about all things space-related have earned him nearly 30,000 Twitter followers. 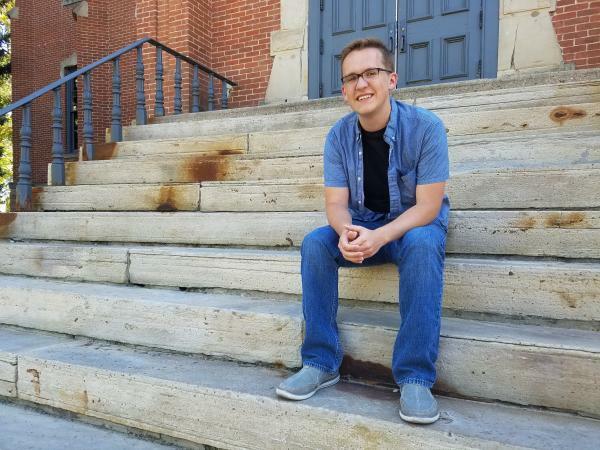 Braun is currently finishing a public relations track within CMCI with a secondary focus on social media analytics, all while holding down a job as the social media specialist for Public News Service, a local news agency. He hopes to combine both interests by working in a communications role for an aerospace company someday. Braun says that one of the most gratifying things about being a space communication advocate is that he now receives aerospace-related calls, texts, tweets and articles forwarded by friends and family who might not necessarily have been interested in the topic before. “It feels good to connect with people about this subject and have a positive impact on the campus in general,” he says.